Posted by Teresa Mihelic HelpDesk on Friday, October 5th, 2012 at 8:50am. 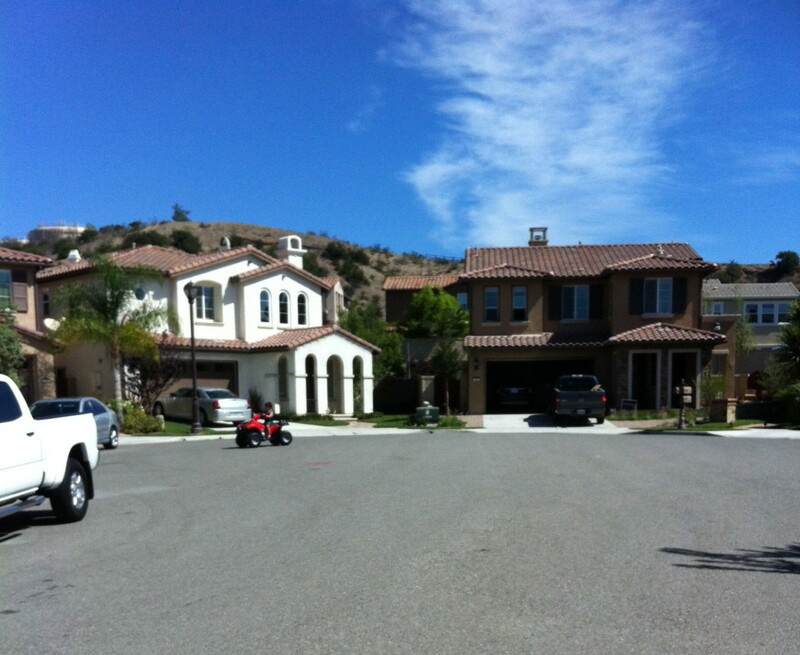 When looking at homes in Orange County, many of our clients have in their list of things needed in a home 'cul-de-sac'. Interestingly homes located in a cul-de-sac area seem to sell faster, and some times for more than their matching comps in different places of the street. When planning neighborhoods, culs-de-sac are created to limit through-traffic in residential areas. While some cul-de-sac streets provide no possible passage except in and out of their road entry, others allow cyclists, pedestrians or other non-automotive traffic to pass through connecting easements or paths. 1. The obvious: less passing traffic resulting in less noise. 2. If you have younger kids, cul-de-sacs are almost like getting another backyard. Except is in the front - and shared. When little ones are involved and safety is a must, a cul-de-sac home becomes invaluable. We have clients that will pay that premium just to be in the cul-de-sac for this reason alone. As long as a cul-de-sac is in a family friendly neighborhoods with younger families, the children will have a somewhat safer environment to play in. Nothing is foolproof, but there are a lot less cars coming through, and in Orange County at least, is very common to see the parents put up signs to 'slow down', or 'children at play' or my favorite, the 'green man'. Children should always be watched for, but hey, its easier to watch for them in a cul-de-sac than it is in an open street for sure. 3. If you like to be social, culs-de-sac often attract the neighbors of a specific street. It's like a magnet. And we have seen cul-de-sac locations also have something in common: ' Friday noon get togethers'. 4. When is time to sell, the home will likely have a better resale value than a comparable in a non cul-de-sac location. When your children have grown up, you might not want to be at the cul-de-sac anymore. Or it might be time to an upgrade or a smaller home. Most buyers, like you were once, will love the idea of getting into a cul-de-sac home. Most neighborhoods in Orange County have cul-de-sac homes, specially the newer ones with tract homes, where this was a must in the design process, like Ladera Ranch and Talega . We as Realtor agents, have tools to look for 'cul-de-sac' locations only within the homes for sale in the MLS Orange County. Is this what you are interested in? Send us a note or give us a call, and we will set up your search immediately!